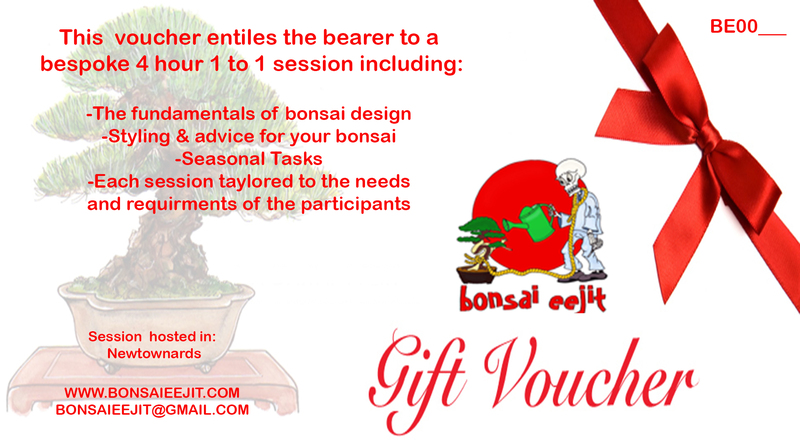 I have been delivering one to one bonsai tuition since 2012 throughout Ireland. Each session is tailored to the needs of the student working on their trees on a seasonal basis. Each session is a minimum of 4 hours long with the option to extend on an hourly rate. For current prices, please contact me using the tab at the top of the page. Over the last 5 years delivering sessions to over 30 students keen to progress not just their own bonsai, but also their bonsai skills and learning I have helped to progress not only their standard of tree but also their confidence in working bonsai as an individual. Special focus is given to pushing the student to progress their ability to select and style bonsai covering not only the initial shaping but the refinement of the tree. Sessions are held either at my home in Newtownards with full workshop facilities and refreshments available or I can travel to the home of the person requesting with travel expenses covered. Saturdays, Sundays and weekday slots available. ‘Two to One’ Workshops are also available at a reduced rate per head. Teaming up with a friend at a similar level can be A beneficial learning experience. 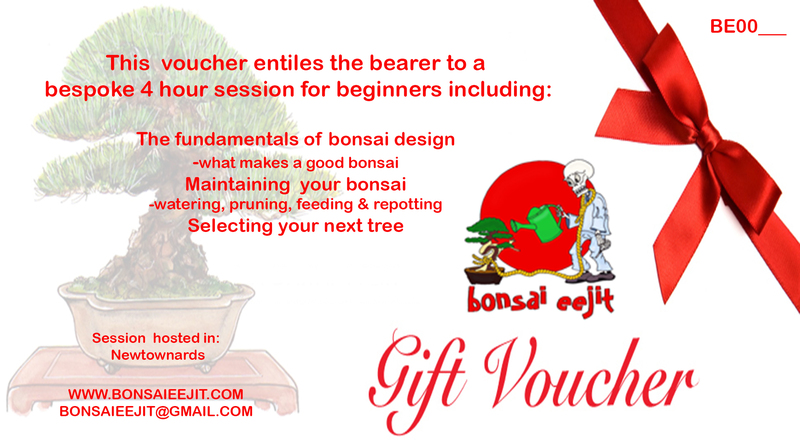 Gift Vouchers available for you to give as gifts to family and friends, both beginners sessions and also for the enthusiast.